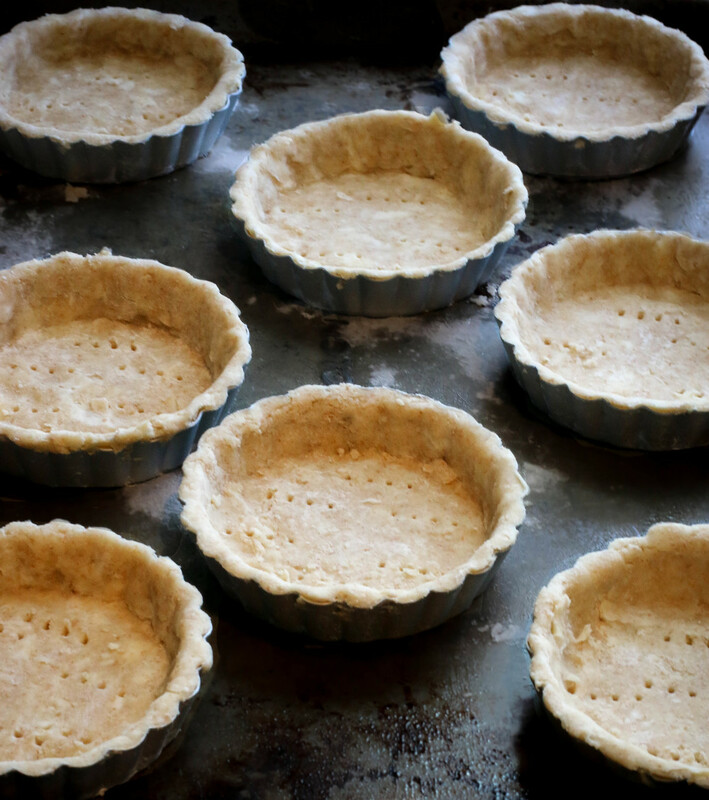 Prepare 4 mini tart pans (or one large, 10" tart pan) by lightly spraying with cooking spray and dusting with flour. This step ensures that your tarts will release easily from the pan. Skipping this step will not affect flavor, but it may make for a messier presentation. Roll out your pie dough to about 1/8" thick, and press into the tart pan(s). Use a fork to prick the bottom of the tart dough in 4-5 places. Pricking the dough keeps bubbles from forming during baking. Move quickly while forming the tart shell(s), so the heat of your hands does not melt the butter in the dough. Blind bake (i.e. with no filling) the tart shell(s) for approximately 10 minutes on a center rack. The crusts will start to brown lightly and should start to pull away from the tart pans. While the tart shells cool, start on the filling. In a medium saucepan, whisk together sugar, milk, cream, butter, cornstarch, and salt. Turn the heat to medium high and whisk constantly as the filling comes to a boil. When it reaches a boil, turn to low and continue stirring for 2 minutes. The filling will be quite thick (think Greek yogurt). Remove the filling from the heat and whisk in the vanilla. Pour or ladle the filling into the cooled tart shell(s). Allow the filled shells to cool for 2-3 minutes while you wash and dry the berries. 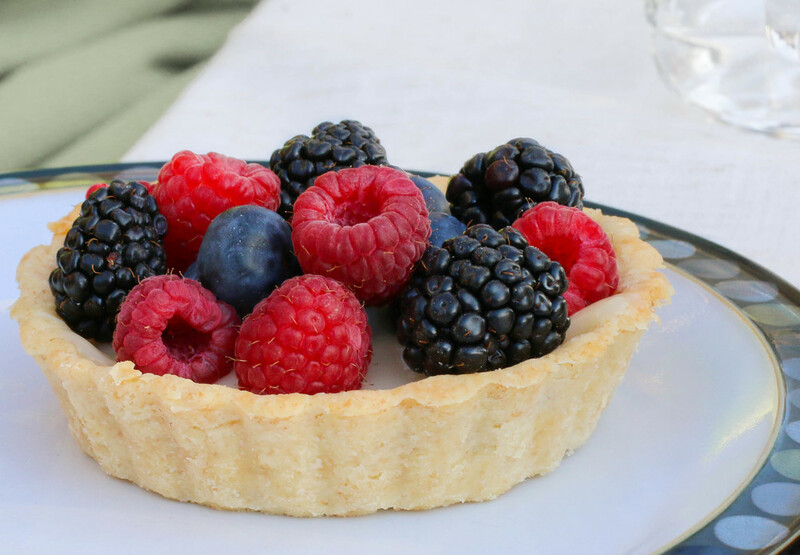 Top the tart(s) with berries, pressing down slightly to embed each fruit in the rapidly thickening filling. Cool at least 20 minutes (or refrigerate up to 4 hours), and enjoy!